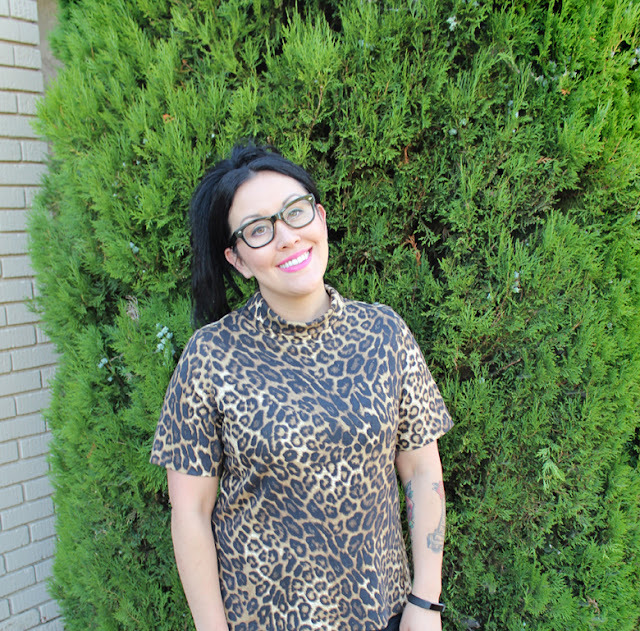 SURPRISE SURPRISE, a shirt made in a leopard print fabric. A comfy one at that. And paired with my black Ginger Jeans or black Oh La Leggings = an outfit that I am feelin. Piper is part of the Christine Haynes pattern line. 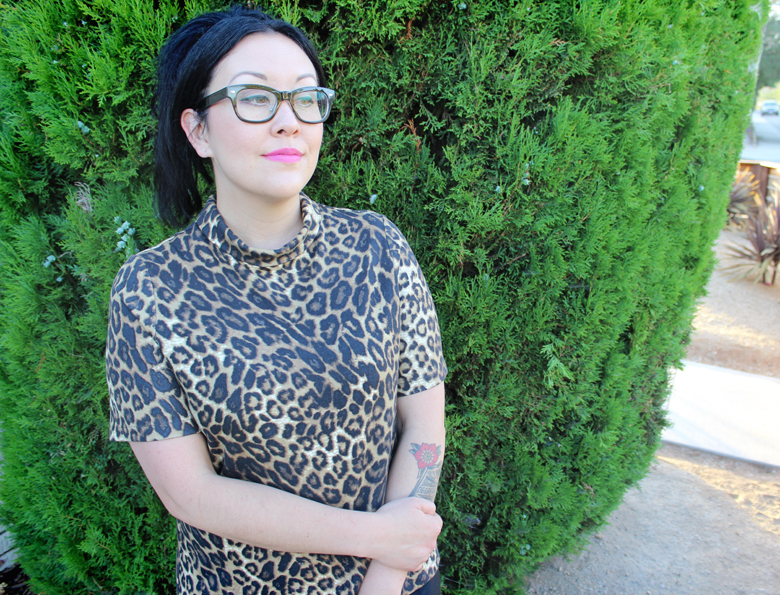 She recently started releasing pdf patterns under the Chop Chop collection, which are quick and easy project in a day sort of sewing adventures. So far she has released the Rumi Tank/Dress and Piper. I am a total deadbeat and haven't blogged about the Rumi workout tank that I made and wear on a regular basis (cool story: I was running on the treadmill at the gym and a lady came up to me and said she loved it so much and wanted to know where I bought it 😎), but I'm making a point to blog about Piper because I love it so. Let me tell you a story. A story about how a person named Erin Fosmire would order knit fabrics online, only to receive them and realize that they weren't quite what she was expecting. She would then fold them up and put them in a storage bin (after pre-washing, or course!) and pray that someday she would find a use for the fabric. It was described on Mood's website as "black and brown leopard print rayon jersey" and I planned on making a long sleeve shirt. Well, what I received was not what I was expecting and would be uncomfortable for a long sleeve shirt, as the fabric was thick and felt almost like a ponte. 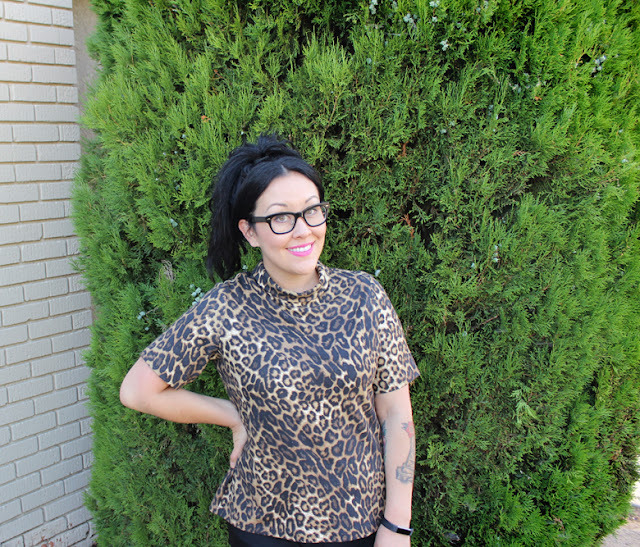 I'm never going to send back a leopard print fabric, so I stashed it away until it decided to become this Piper top. The end. I love stories with happy endings. Construction is simple, instructions get a thumbs up (👍👍), and the pattern fit is good. The instructions for the Chop Chop line are a little different from Christine's usual pdf patterns because they don't include diagrams/illustrations, they include photographs. Currently, I get all my pdf patterns printed in black and white at the copy shop, so ink/toner wise it doesn't make a difference to me, but just a heads up for those of you who do print at home. The funnel neck is cute, not too turtleneck esque, and super easy to attach. I serged my seams, zig zagged the hems, and made this thing pretty quickly. I didn't make any adjustments, but on my next version I am going to do a narrow shoulder adjustment (my usual adjustment). Honestly, the whole pattern is an easy one to make, so I don't have any "look out" tips or construction advice. Just follow the pattern, you're in good hands. Stoked, will sew again, power seller, fast e-mailer, A+++, etc. Now, I just need to make a black one and my life will be 3745692345623 times better.